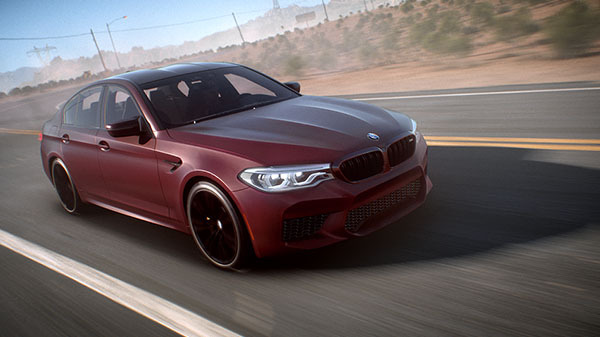 Electronic Arts and Ghost Games have released the Gamescom 2017 trailer for Need for Speed: Payback, revealing the new BMW M5 as debuting exclusively in the upcoming racer. The new BMW M5 builds on the traditional concept of a luxurious four-door business sedan by appealing to drivers with a taste for high speed and adrenaline. Need for Speed: Payback players will be among the first to experience the new M xDrive all-wheel drive as they tear through the city streets and diverse landscape of Fortune Valley this Fall. The M5 takes the BMW M-series into new territory, with 441 kW/600 hp, peak torque of 750 Nm (553 lb-ft) and 10.5 l/100 km [26.9 mpg imp] fuel consumption combined/ 241 g/km CO2 emissions combined, which promise supreme propulsive power and formidable performance. The new M xDrive developed by BMW M GmbH is the most engaging all-wheel-drive system yet to grace the high-performance segment and will be on display across various terrains in Need for Speed: Payback. Need for Speed: Payback is due out for PlayStation 4, Xbox One, and PC on November 10.